Shrimp are high in vitamin B-12, which is essential for good muscle health and vision. I stayed indoors this weekend to keep away from the 24 hour torrential downpour we received from Hurricane Andrea. Before the storm hit, I visited the grocery store with a long list of ingredients and big plans to cook as many as 6 dishes in a day – these ginger shrimp balls were part of a trio of Asian ‘tapas’ I had planned to serve. For those of you who wonder if food bloggers shoot dishes daily, the answer is no. In order to be able to update regularly, most bloggers like myself will cook and shoot a few dishes in a day. This way you have an image library ready to be used, all that’s left is to choose the best pictures, clean them up (Photoshop is essential – I also have a Wacom pad I couldn’t live without), write the recipe and a few anecdotes. Don’t get me wrong – these steps still take a long time to accomplish, this is a full time job for me! But this way I can focus on one thing at a time and the whole experience is much more organized and enjoyable. 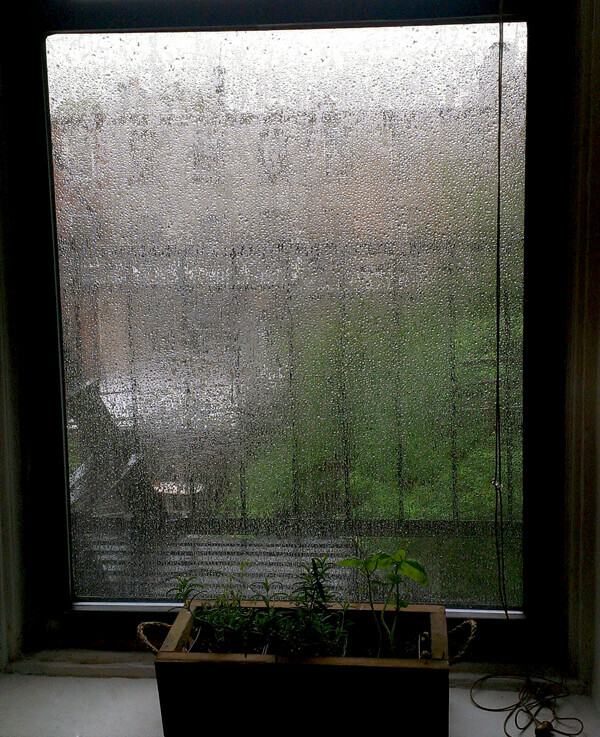 View from our kitchen window – constant heavy rain made it hard to see outside! But enough about food blogging, let’s talk about these super delicious ginger shrimp balls with a fiery soy chili dipping sauce. These babies are so easy to make and look like dim sum restaurant quality bites! They not only taste like but have the tender texture of shrimp dumplings too! I used the oven instead of of a frying pan since a single spatula push could have easily broken their delicate shapes (they’re fine once cooked). The idea for the dipping soy came from gyoza tare (gyoza dipping sauce), vinegar, soy and sesame always go so well together. My hubby and I love spicy food so adding hot chilies to the sauce only made sense. 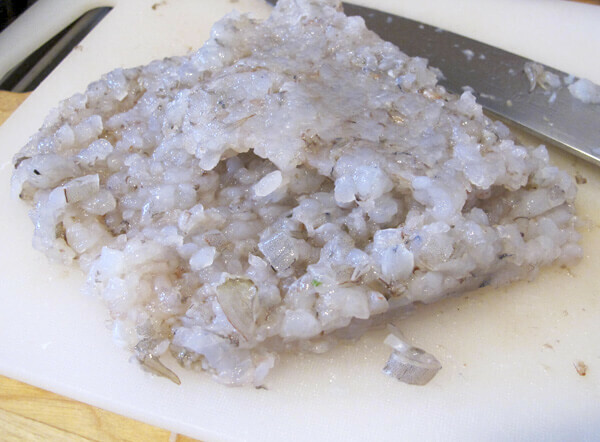 Finely chop the shrimp either with a knife or using a blender, but do not puree! Using seafood as opposed to meat is a great alternative to eating healthier without skipping on protein and other important nutrients. I switch it up and try to cook meat once or twice a week tops. We’ll have seafood days: these shrimp balls + salmon cakes and the cakes’ dipping sauce (perfect combo! ), meat days and vegetarian days. Regardless of the type of protein I use that day, I make it a rule to always balance heavy with light. So if it’s a steak kinda day, I’ll serve it with a healthy sweet potato soup and a simple salad like a kale Caesar or lentil salad. 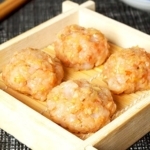 Gently mix ingredients to together and using the spoon, make bite size shrimp balls. 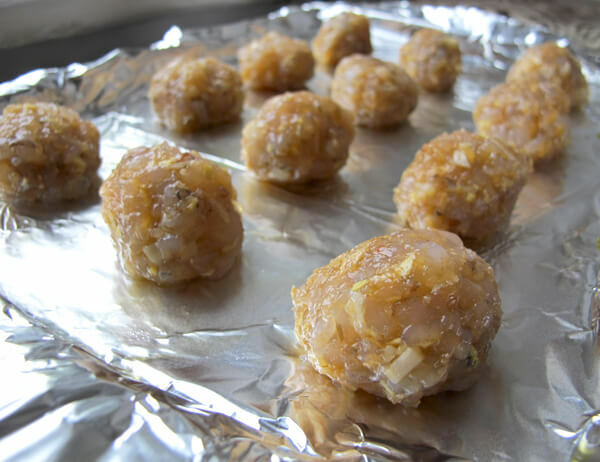 These ginger shrimp balls will keep in the fridge for up to two days, make sure they are properly sealed in a tupperware container to retain their moistness. Serve them at your next dinner party or bring them to a summer barbecue. They’ll be a hit, I guarantee it! Brush the foil with a little oil and cook the shrimp balls for about 15 minutes, until cooked through. Healthy,oven baked ginger shrimp balls served with a spicy chili sauce. Cover a baking tray with aluminum foil and brush a thin layer of oil. 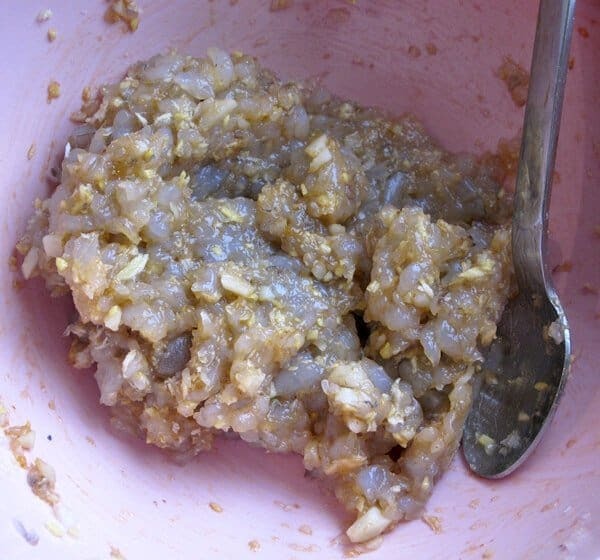 Using the spoon, scoop a heaped spoonful (about 1 1/2 tbsp) of the shrimp mixture and shape into a ball. Lay the balls on the baking tray and cook in the oven for 15-17 minutes, or until cooked through. Alternatively, you can steam or pan fry the shrimp balls. Made this for our Asian Fest dinner party and they were a hit! I did 2 additional things though: 1) added chopped cilantro for a little pop of color and 2) rolled them in panko before baking for a contrasting texture. Excellent! Patrick, I love the panko idea! 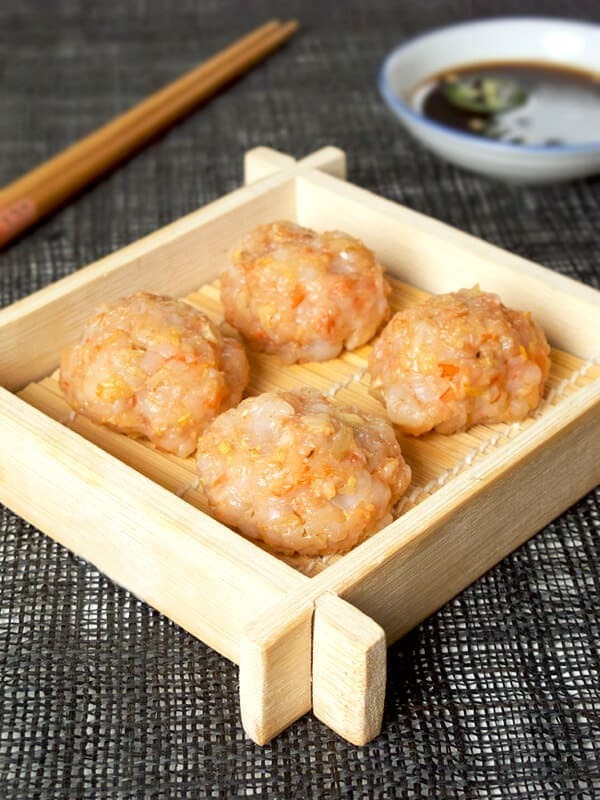 Will shrimp balls keep in the fridge for up to two days…after cooking or before cooking? Thank you! wow, this looks great – just bought a bamboo steamer, and I can’t wait to try it out with this recipe! Instead of cooking them in the oven, Could one also steam them?? Yes, you can steam the dumplings as well for about 7 minutes. Better than dim sum at Jing Fong! I couldn’t get enough. I really like the texture as well. The shrimp was tender while the ginger and water chestnuts added such a great crunch.